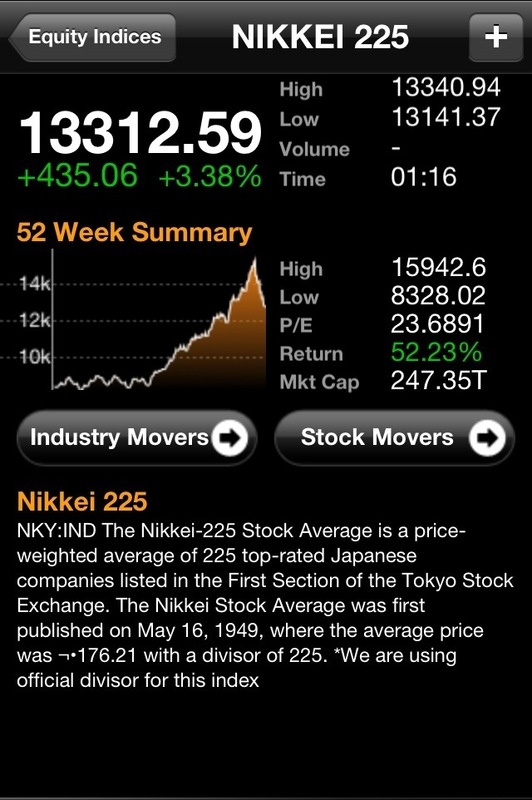 What a cracking start to the week , Nikkei is signaling that Japanese shares may arrest a three-week, $600 billion slump! A slight policy change in Japanese pension funds is a big factor , as they will increase equity holdings . The pension funds holds multi TRILLIONS. And is looking to swap from bonds into equity . Lets see how the weeks turns out ,I am long equity short yen and have increased my position this morning .